Since a measure was first passed the US Congress in 1981 and the first celebration held March 1982, the month of March as been recognized as ‘Women’s History Month‘ – that time to reflect and fully appreciate the massive contributions by women across the globe and over many different decades. There have been and will be numerous programs and exhibits during March at the Library of Congress, the Smithsonian Museum, National Archives, National Gallery of Art and many other institutions. However, the very best place to salute the countless women who have made a difference in society is by looking at your own family tree. No matter when a female ancestor lived there easily ca be some contribution to their family, town, church, society that they should be recognized for and remembered. This is the very reason there needs to be at least one person in a family each generation doing the research, creating the family tree and learning about the ancestors. You may have a female ancestor who in their own way changed the path for future generations. Annie Musselman Wagoner (1818-1882) – Suffered from the death of a son, Pvt. Wesley Wagoner while he was a prisoner at Belle Isle Prison during the Civil War. Lost all her younger children to diseases between 1857 and 1863, yet was the support and backbone for her husband. 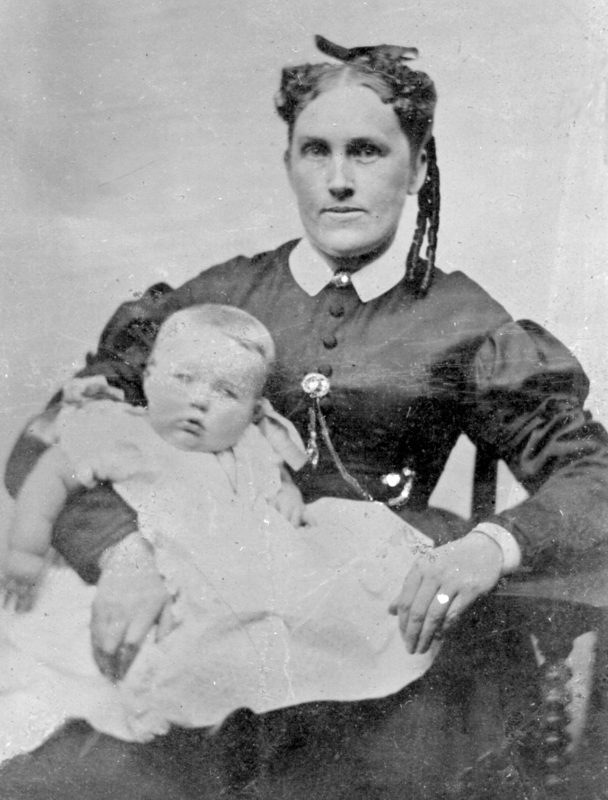 Susan Smith Groff (1828-1911) – Operated the family hotel by herself in Maryland during the American Civil War while her husband served in the Union Army. In Sept. 1862, as Confederate Rebels marched through Frederick, Susan single-handedly gathered up some 90 rifles and hid them in a well until the Confederate soldiers left. Then the rifles were turned over to the US Army to be taken to Washington, DC. The event was written about in the Oct. 21, 1862 Philadelphia Inquirer newspaper. Margaret MaCartney Smith (1829-1905) – She immigrated at age 60, without a husband on Oct. 24, 1889 from England to Boston on the Ship “Roman”. She came with two young daughters to a new land. Savilla Sherman Musselman (1840-1927) – As a young widow raised 3 of the 6 children on her own. Then raised on her own a granddaughter from age 2 to adulthood after her daughter’s died. Mae Musselman Walters (1898-1955) – Had her Masters degree from the University of Miami in 1939. 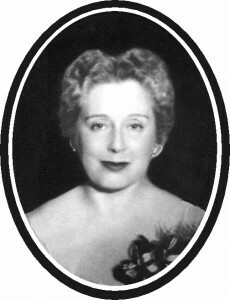 She was a teacher and then principal for a Miami elementary school, which was named in her honor. 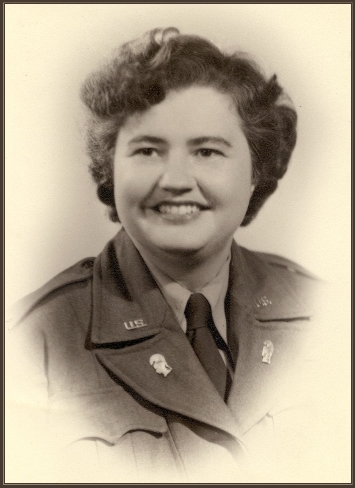 Nan Musselman Everhart Kershaw (1915-1994) – Received a law degree in 1941; ran for political office (first in state of Maryland for the state legislature);applied as an agent to the FBI; served as a Lt. in Women’s Army Corp, as Judge Advocate General and served at the Nuremberg Trials (behind the scenes). Alice L. Walters Wallace (1922-2013) – She was first a student pilot at age 14 yrs in 1935 with flying instructions from Amelia Earhart. Then purchased her own small plane. In 1942 flew with “Women Flyers of America”. Became an US Army Nurse during WW II. 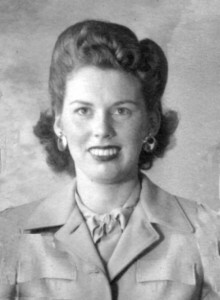 In the mid-1950’s she owned a public relations and advertising agency in Dade County, Fl. She produced fashion shows, did playbill and publicly for the Coconut Grove Playhouse and Studio M. She worked to get legislation across the country for handicap parking areas established. Do some real searching on your female ancestors this month. Photos: Savilla Sherman Musselman, Mae Musselman Walters, Nan Everhart Kershaw, and Alice Walters Wallace.